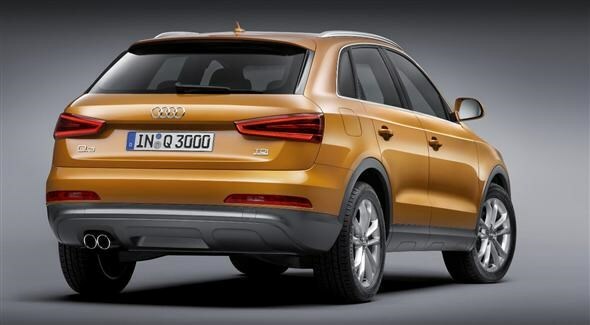 Audi has unveiled the new Q3 and it's not exactly ground-breaking stuff from the German brand. The smallest Q model joins the Q5 and Q7 in the manufacturer's soft-roader range and is set to take on the likes of the BMW X1 and Range Rover Evoque. Potential buyers will get a choice of three engines when it goes on sale. The petrol range starts with a 2.0-litre TFSI with 168bhp that comes with a six-speed manual gearbox. The other petrol choice is the range-topping 2.0 TFSI with 208bhp, while the sole diesel option is a 2.0 TDI with 175bhp. These two engines are fitted with Audi's seven-speed S tronic auto 'box. Soon after the car is launched a lower-powered diesel choice will be available. The 2.0 TDI comes with 138bhp and will be available in the entry level front-wheel-drive model. This is likely to be the most efficient model available with an average of 54mpg. In terms of practicality, there is 460 litres of bootspace on offer with the rear seats in place. Drop the seats and this rises to 1,365 litres. The BMW X1 loses out in the luggage stakes with just 420 litres on offer, rising to 1,350 litres with the rear seats down. As you'd expect from the company there are plenty of options available including the Audi drive dynamics system that allows the driver to change the throttle and steering settings between comfort, auto, dynamic and efficiency. The good folks at Audi have also prepared the car for sat nav, but if you want this to work then you'll have to purchase an SD card separately. Like the rest of the model line-up the choice of trims is pretty simple with SE and S-Line available. The SE models get 17-inch alloys, rear parking sensors, Bluetooth connection, Audi music interface with iPod input, rain-sensing wipers and dual-zone climate control. S-line versions add 18-inch alloys, S line exterior and interior styling enhancements (some plusher material and extra chrome) and xenon headlights with LED running lamps at the front and the rear. 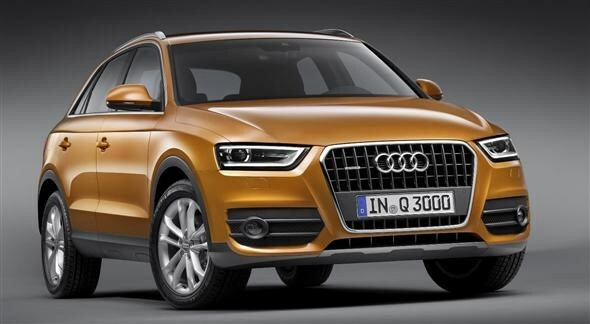 The Q3 is due in the UK in November with prices expected to start at around £25,000.